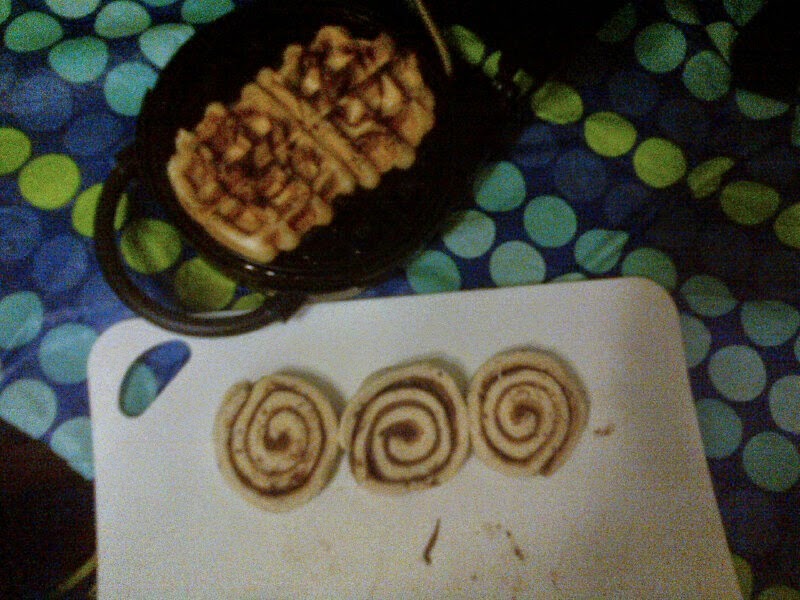 I usually make our waffles from scratch, but saw this on pinterest and had to try it. Take store-bought cinnamon rolls (the kind found in a tube in the refrigerated section that you bake off). Take the raw circle of dough and drop it onto a greased waffle iron. Once cooked through, drizzle with icing. Made this as a special treat for the kids last weekend using some brand from Whole Foods and they loved it. Couldn't have been easier so it's a fun breakfast Get It Done Tip! Enjoy and happy weekend! We're looking forward to seeing my husband's cousin and her family tonight -- they are coming to our place for dinner.